Many healthcare organizations prefer using email for business communication as it leaves a paper trail and can be a more secure solution than mobile messaging. When large volume transactional emails need to be sent every month, healthcare organizations face the challenge of ensuring that any financial and personally identifiable data sent by email is secured to avoid data misuse. The good news is that the email security challenge can be overcome by using a high bulk email platform that safeguards the confidentiality of the information. A reliable email platform will offer multiple options to meet different requirements as far as data security and server set-up is concerned. Healthcare organizations prefer end-to-end email encryption, a data transmission method where only the sender and recipient can read the email messages. If the need is for a solution that encrypts email on the client side and is protected prior to being seen by an SMTP server, S/MIME is the way to go. The end-to-end protection in this case can assure sender authentication and nonrepudiation. When encryption is only needed for message transport, TLS with SMTP is ideal. It provides high level protection to prevent interception of messages in transit between servers. Your email platform should offer this option and you can consider it if your recipient email servers support it. 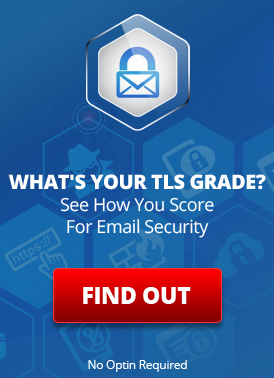 SMTP TLS assures the privacy and authentication of high-volume email traffic. If you’re looking for a simple end-to-end encryption solution, the email provider should include secure message escrow in their list of options. The email messages are stored encrypted until being retrieved by the recipient. Here, you can choose how your recipient will verify their identity from a number of options. The message is then encrypted with the particular PIN code or password. The recipient can view the message only by entering the password/PIN or answering a security question sent by the sender. If you need to send emails to entities using Pretty Good Privacy (PGP) encrypting solution, then it is convenient if the email provider also lists this as an option. PGP is quite clunky and not exactly user-friendly. Still, it ensures confidentiality, integrity and availability of email messages. The email provider should be able to automatically match appropriate E2E encryption to recipients on a per-recipient basis. Leading email providers serving healthcare organization’s email and data security needs offer round-the-clock support. It is critical that you have a qualified IT professional to speak to when you suspect a security incident or have an important query that cannot wait. Besides getting an executive on the line, you should also have the option to live chat with him/her to troubleshoot your issues in real-time. Do you want to customize your transactional and marketing messages with your brand logo? As email recipients can view the source of headers, many organizations would prefer to indicate that the messages are coming from them and their servers. It is helpful if the email platform offers the flexibility to customize the header to reflect your brand only, which can also support your brand recognition goals. The email provider should maintain dedicated servers to facilitate large volume transmission of transactional messages. A reputed service will have the infrastructure and expertise to ensure high availability and reliable security. It has become common to queue transactional emails on mobile devices as much as desktops. 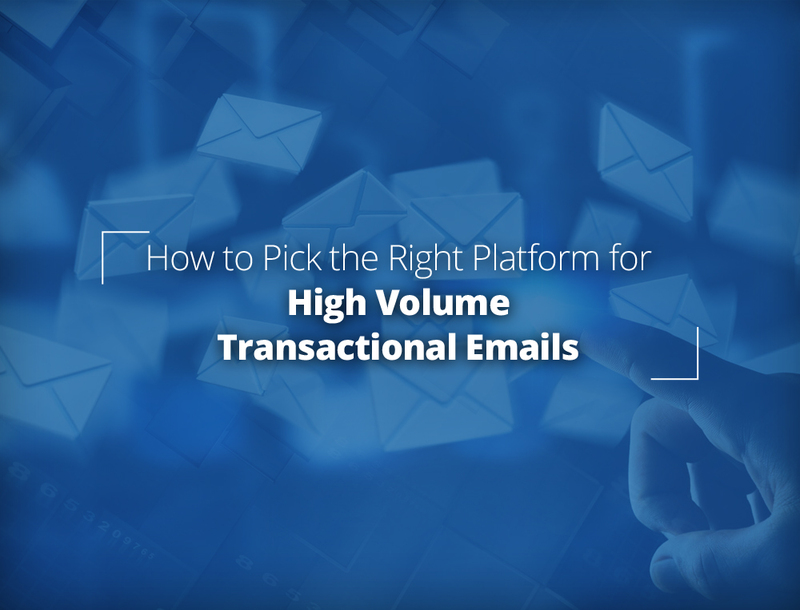 The email platform should offer all-encompassing support to avoid creating limitations for some organizations. The platform should also be easy to set-up and provide reports on message status and other useful communication, such as if the messages have been marked as ‘spam’ by recipients. Do many of your transactional emails contain protected health information (PHI)? If the email service has these security controls in place, you can deem it HIPAA-compliant. Also note that the email service provider you engage will be a business associate. The email provider with whom you will be entering into an agreement is your ‘business associate’. This relationship is distinct from a ‘mere conduit’ service that describes information services and telecom companies such as ISPs that enable the transmission of temporary data. Mere conduit services do not hold any responsibility for HIPAA compliance as they are storing PHI temporarily. A business associate relationship specifies clear liabilities in the event of a data breach involving your employees or clients. The business associate agreement you sign should state that you and the email provider will share responsibility for protecting data and provide notification following a data breach. This entry was posted on Tuesday, June 12th, 2018 at 6:40 pm	and is filed under Email Marketing, LuxSci Library: Email Programs and Devices. You can skip to the end and leave a response. Pinging is currently not allowed.